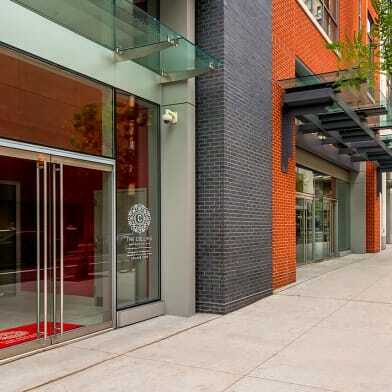 Description: Amazing 1 bedroom just seconds from the theatres, restaurants, and shopping! This charming 1 bedroom 1 bath bi-level apartment is the perfect cozy hide away right in the center of town. Open living room, dining room, and kitchen with large windows and french door provide ample and comfortable space with lots of natural light. The living and dining area has hardwood floors and a decorative brick fireplace. Spacious carpeted bedroom with queen size bed, desk and task chair, sitting area with two lounge chairs, table and lamps, and a Juliet Balcony, plus full bathroom are on the upper level of the apartment. Good closet space! Recessed lighting throughout. Laundry and bonus room are on the lower level! Neighborhood: Washington Square West/Avenue of the Arts- puts you in the middle of everything that is Center City with a neighborhood feel. 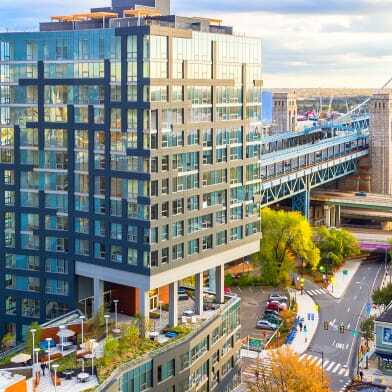 Live amongst the mix of historic buildings and landmarks, trendy and fashionable restaurants, coffee houses, and shops. 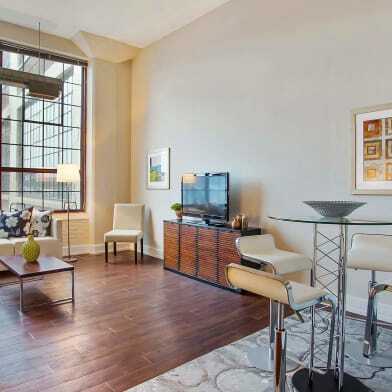 This area is ever evolving epitome of unpretentious luxury meets Artsy City Chic living in Downtown Philadelphia. 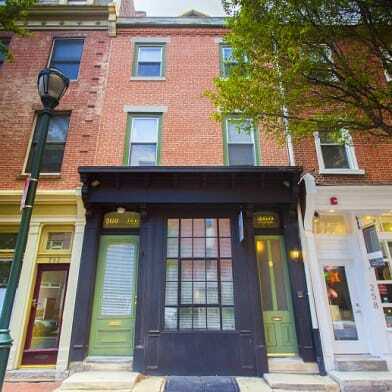 Walking distance to Pennsylvania Hospital, Jefferson Univ Hospital, and Hahnemann/Drexel Univ Hospital. 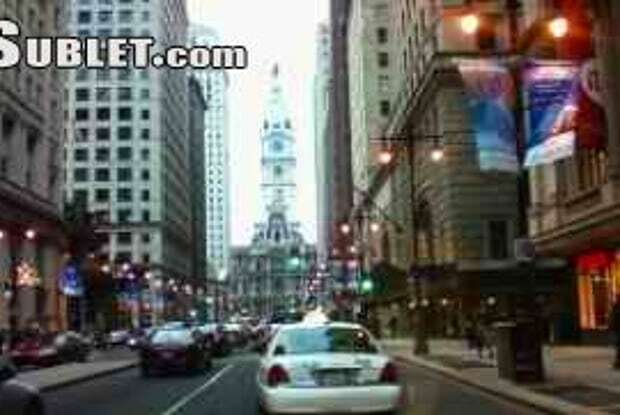 Also, C.H.O.P., H.U.P., and The University of Pennsylvania are only a 10-15 min bus, shuttle, or bike ride away. 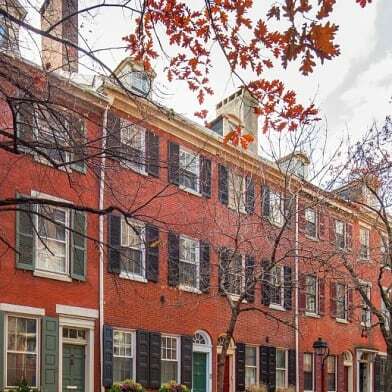 you will have access to all that Philadelphia has to offer just steps away from your front door... landmarks like City Hall, the Kimmel Center, Miriam Theater, The Suzanne Roberts Theater, The Wilma, The Arts Bank, and the Academy of Music. The Residence is Completely Furnished. Bedroom Linens, Bath Towels, pots/pans, silverware, glasses, dinner wares, cooking utensils, coffee pot, microwave, toaster, and tv included. Move-in Requirements: pay entire stay & refundable damage/security deposit. Parking lot is one block away for additional monthly fee paid directly to garage. Have a question for 1300 Lombard?